When it comes to mobile application development San Antonio, it always seems to be a rather trendy topic. The fact is, there’s always more to know with technological innovations being just around the corner and, there are always more questions that pop in people’s head. However, by reading a simple list of frequently asked questions about mobile app development with their respective answers, one can easily get to know a lot on developing mobile apps and consider many things to serve the purpose. Question Number 1 – Can One Build Their Own Apps? There are many mobile applications that are available to the people from the device-specific app stores. However, when it comes to businesses, it usually always makes more sense to build the applications in-house. There would be some organizations that have the kind of business processes which would take hours of time, because of the constraints that the back-end systems have. Nevertheless, the developing of mobile applications majorly simplifies these kind of processes to a few seconds. This makes any worker’s job much simpler. Question Number 2 – What Should One Consider Before They Develop Mobile Applications In-house? Start by figuring out what the users need from the applications. Further, get to know what the developers have the capability of building. Then, decide if a bring-your-own-device model is to be used or are the users to be supplied with corporate-owned devices. Also, determine which operating systems will be supported. Question Number 3 – Are Native Apps Better Or Web-based? If you want to develop interactive mobile applications in either Android or iOS platform, then you are at the right place. 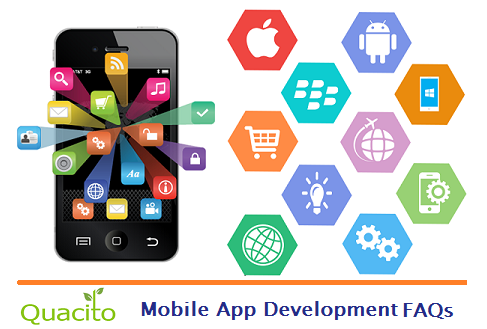 Yes, Quacito LLC can help you develop mobile apps as per your current business requirements. They have dedicated team of developers to develop mobile as well as web apps. Hire Quacito now. We hope that this blog helped you in what you were looking for!